Putting your future in the hands of someone else can be scary. When you truly understand your insurance policy, though, you can feel confident in your decision and rest easy knowing your future is secure. Working with North Carolina’s most trusted agents, we are not just a team who helps find you the right policy, but we are your partner in the industry, ensuring that your needs are put first. 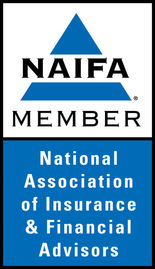 From life insurance and annuities to Medicare Supplemental insurance, our number one goal is to make you comfortable knowing you are in the best hands. Acting as your broker, we guide you through a variety of insurance policies to discover the one that meets your needs and gives you the financial security you seek. Dedicated to helping you find the right annuities, medicare and life insurance policies to meet your needs, our goal is to help you save as much as possible along the way. Because we work for you, not the large corporations, we are committed to doing what is best for you and not the insurer. Your success is what motivates us to do our best, building a relationship with each one of our clients; one that is founded on integrity, trust, and honest hard work. The best part? You don’t have to pay us a dime. We want you to feel good about the choices you make while we go out of our way to provide you with a service you can trust. To find out more about what we can do for you, and the success of your financial future, get in touch with one of the Laurel Insurance Partners team members today.